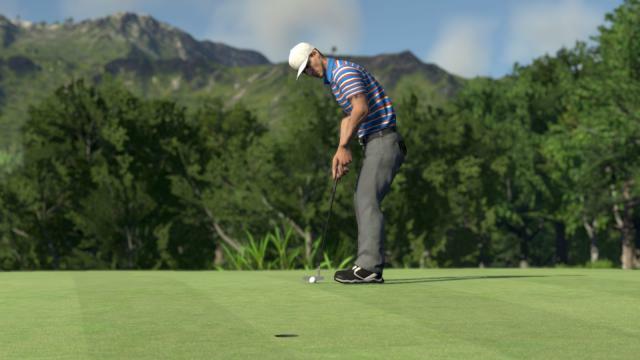 So, The Golf Club, affectionately known from here on in as TGC is the latest game from HB Studios. It’s not just another golf game, its a golf game with loads of extra features such as an extensive course creator and editor, tournament creator and a plethora of “customise my golf dude” options to choose from. The first thing that strikes you (sorry, no more puns) is the way the game looks and is presented. It’s absolutely gorgeous – from the rolling fairways, the rippling lakes to the impressively clean UI which navigates you around the game with some lovely pictures and sounds, it’s clear there has quite obviously been a lot of love lavished on the graphics and general look of the game and it pays off. After a couple of quick clicks you are on the course with your wood in your hand (no, come on, stop it) and there’s the requisite birds sound, breeze blowing and an expectant hush in the air. HB Studios have certainly nailed that golf game feeling which you don’t get elsewhere – that immediate relaxation gained from knocking a ball around a few hundred yards of grass! There’s also the commentator who, whilst I would imagine will grate after a few rounds of golf, does occasionally tip up some genuinely funny moments – for example narrowly missing the hole on a long put resulted in the commentator simply exclaiming “DOH!” which took me a little by surprise and really did make me chuckle. Of course, I’m sure after several hours worth of the same commentary it will wear thin, but little touches like this are all over the place in TGC. The controls are really quite simple. I played using a 360 controller and by simply pulling back and pushing up on the analogue stick I was able to knock my dimpled ball around the course with a certain amount of flair that looked like I knew what I was doing. 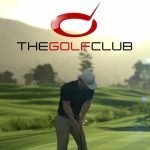 The game can be largely automated to pick your clubs for you and this removes the “spreadsheet” feel to some golf games where you need to look at your bag o’ clubsTM and work out which will work best for the shot you are about to take. Of course you are able to change the club if you think the wind is against you, or you need to hit the ball short/long to avoid a hazard, but generally speaking the selected club does the job for you. Along with the relaxing single player rounds you can create or enter tournaments – either the one that ships with the game, or the countless others that the community have created – and this touches on TGC’s potentially biggest area, that of user customisation and publishing. Playing on a PC I didn’t struggle to find any number of courses made by others or tournaments I could enter. The game seamlessly integrates into Steam so I could quite easily set up a game with my friends, track my stats or see how others are getting on in general, and all this is done “under the hood” so there’s no faffing bothering with the Steam interface and flicking backwards and forwards to and from the game. One of the key things about the game is going to be how the community build on what is already a very solid base. 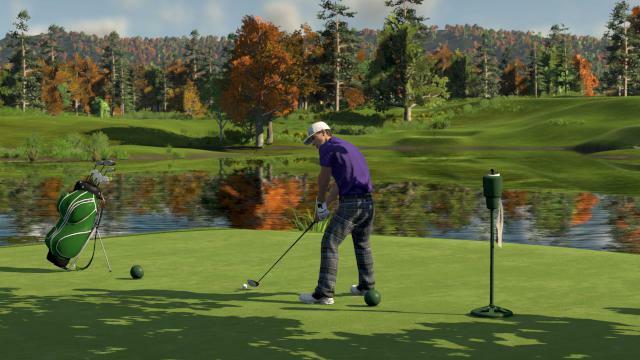 If the game is adopted as the new golf game of choice, this could really have legs. 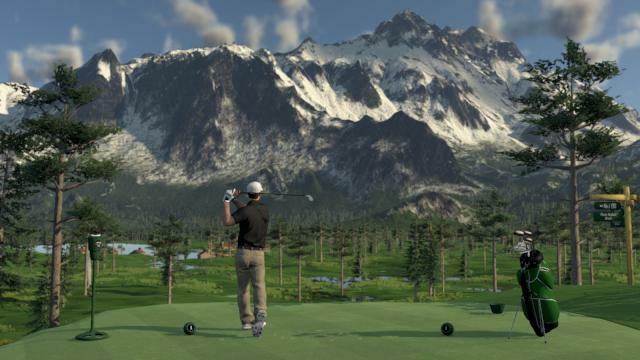 The Tiger Woods games never came close to the visual fidelity of this game, and although it had a thriving community (and still does I believe) TGC really is set up in such a way that it quite could be an actual golf club. Get a few of your mates together, play a few holes, enter tournaments and try and out-do each other. It’s serious potential and something that I really hope succeeds as we need a new kid on the block in these popular sports games – someone who can challenge the likes of EA and not be scared to try new things or push the boundaries, exciting times. Another key feature are the comprehensive and incredibly intuitive course creation tools. Anyone can create a golf course in literally a few button presses and customise and edit it to your hearts content. Fancy a few par 6s? Not a problem, want a really small green surrounded by massive sand traps? Again, not a problem, you can really let your imagination run wild with the editor options and create the next St. Andrews if you so desire! The course editor reminds me a little of the land sculpturing in Sim City and games of that ilk – its like being a golf course god! Of course, there’s no point making a fantastic course if the option to share it with your golfing buddies isn’t included and I’m pleased to report that the “publish course” feature allows just this. It follows a similar pattern to the tournament creation process and indeed means that there is a potential limitless number of courses to play should the community get behind this feature, and I’m sure you can expect some real punishing holes and indeed courses to make an appearance in the future! The only real downsides I’ve found are little tiny bugs such as alt-tabbing out of the game seems to screw up the resolution and the only way to set it back seems to be a complete restart of the game, which is a pain if you are in the middle of a multiplayer match. But I’m sure these tiny issues are easily sorted and can be patched out. The other missing feature are tutorials – these don’t seem to be in the game but a quick look on the developers website shows a whole host of videos, how tos and hints and tips, which are really useful – these would have been really nice in game just to hold your hand a little whilst picking up the basics. I’m genuinely interested in seeing how this plays on the consoles too, I would imagine the multiplayer being even more seamless there and being able to play and edit courses on your big screen TV with surround sound would be stunning. Also, be good to convince the other half you are actually watching golf on TV rather than playing a game (yes it looks that good)! Overall I am definitely impressed and this is most definitely a game Ill come back to (which is unusual for me following a review) – just want to see how the thing develops and how many amusingly phallic shaped holes people create (to create one was a requirement of this review – come on, you’ll all do it)!! !